Environmental air pollution is a silent and long-term killer. It constitutes a public health emergency responsible for over four million deaths worldwide. In Cameroon approximately 7,000 deaths each year are associated to air pollution. Total air suspensions averages 65 μg/m3 of Particulate Matter (PM2.5) that is 6.5 times greater than World Health Organization recommendation. The case with the city of Bamenda is even more alarming averaging 132 μg/m3 that is 13.2 times recommended level of PM2.5. This makes Bamenda one of the most polluted city with PM 2.5 in the world. This partly prompted the necessity for this research content. This book seeks to assess the environmental risk factors associated to acute respiratory infections (ARI) in this city. 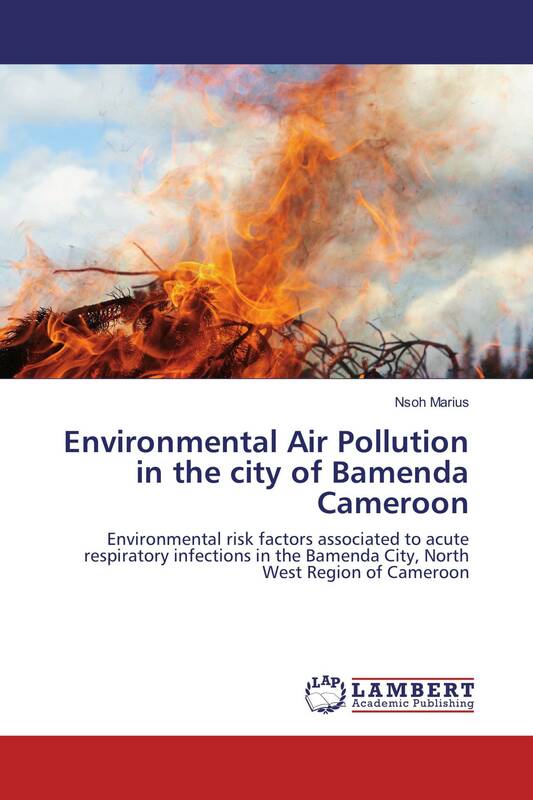 It also provide current trends for the association between air pollution and acute respiratory infections in Bamenda health district. Future projection are also made on possible consequences linked to air pollution. A particular interest is also placed on seasonal variations and respiratory outcomes. This book is an innovator research in environmental health issues in Cameroon. Answers provided to why this city is highly polluted while further research be encouraged.